Our new menus have gone live this week, those of you that follow our Instagram and Twitter feeds will have seen some of the fabulous new dishes already. 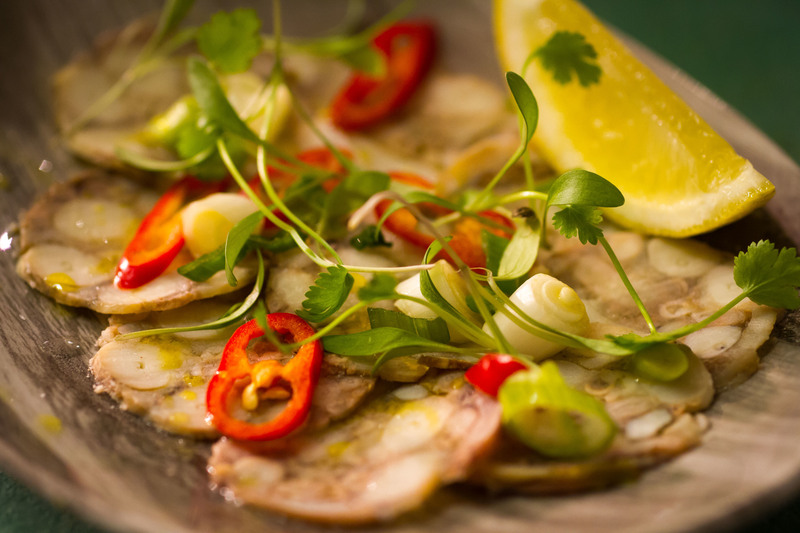 On the sharing plates we have changed a few dishes; we have added an Octopus Carpaccio that is served with lemon vinaigrette, chilli, spring onion & micro coriander. The scallops are now Chargrilled and served in the shell with pickled ginger. 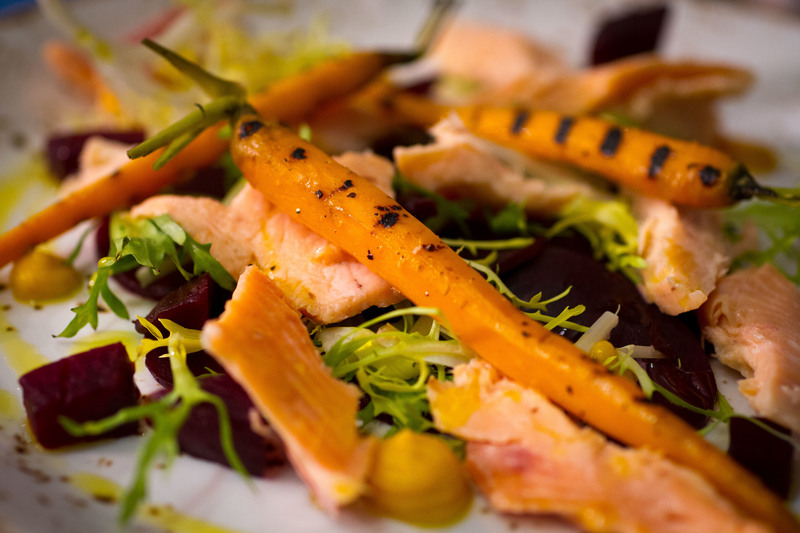 Smoked Trout, Beetroot & Baby Carrot Salad – as featured on our fixed lunch menu. We have some exciting new salads on offer; for the carnivores amongst you the Black Pudding & smoked bacon salad with chorizo, chicory and poached duck egg is a must. Equally as tasty is our Roasted pear & blue cheese salad with radicchio, endive, walnuts, Cashel Blue, fine beans & honey. On our lunch menu we have added some new sandwiches; Char grilled chicken with plum tomato & avocado on a toasted rosemary focaccia bread or how about a Prawn & crab ciabatta with watercress & a lemon & dill mayonnaise. Delicious!